New Zealand Bloggers – Can You Make Passive Income Here? Some of you seemed to like my photos in the Move to New Zealand – Australia compared so this post is decorated with some photos from Island Bay, Wellington – near where I am currently living. Todd over at Todd’s Tips has been inspriring me with his Iraq photos – so here is my best effort! My attention was caught by the local Sunday paper featuring this story on a New Zealand DIY site making a claimed $20,0000/month from Adsense. Now that’s presumably New Zealand dollars – so that’s about US$14k – but still its a lot of money being claimed from a fairly small, 1100 indexed page, site. I was initially skeptical of the claimed figures but I do know my mate Allyn over at bloggerillustrated.net sold a website for $30,000 and that it was a DIY type site as well, though knowing Allyn I doubt that AdSense was his preferred magnetization (he hasn’t said yet – it looks like the vblog series is going to extend well into 2010 while he keeps his audience waiting for the good stuff! give a little back to Google and spread the word about AdSense (sic), and he thinks it could be particularly relevant to older New Zealanders who have so much experience to share. Mr Kenny probably genuinely doesn’t know why his site is a success – or realise just how difficult it would be for someone else to replicate his success – Kiwi or not.If you look at the other sites mentioned in the article and on his main site you will see that none of these seem to rank for anything much. The site no doubt ranks for thousands and thousands of long-tail keywords associated with the “how to build …” niche. He ranks #2 for the “how to build” phrase which has over 18000 searches a month and would give him huge authority on any new plan or project he added to the site. The single most important thing the site has is of course age (2002) – with that longevity and relevance its going to be hard to for anyone to put up a competitor site against hi m in the niche. the top image banner is an Adsense ad – but is not labelled as such – is that OK if you are just advertising your own sites – and why would you do that ? the inclusion of a Spanish language site – directly from the original site’s page links – the Adsense ad’s appear in Spanish for me – but are not advertising anything relevant – mainly language classes – probably because the lack of Spanish language advertisers in New Zealand! Wooden houses and steep hills -that's Wellington! If you are a New Zealand blogger – you may want to keep an eye on the infamous Whale Oil blog. This blogger is currently in court over breaching name suppression orders over the last few months. 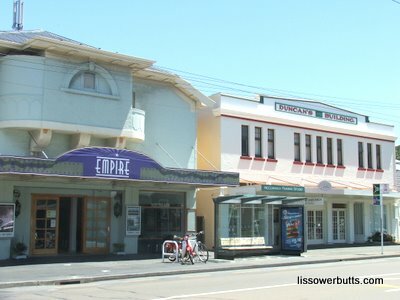 In New Zealand, even if you are found guilty of a crime the court can order permanent name suppression – its getting beyond a joke when the suppression is not to protect the victim (and is sometimes against their wishes) – but is apparently becoming the “right” of any slightly famous “New Zealand entertainer” or “New Zealand politician”. I’m watching this case with curiosity because apparently while I was away New Zealand has turned into a country happy to suppress almost any criminal’s name – if they have a “reputation” to protect that is. If Michael Jackson had been a “New Zealand entertainer” his name would never have been associated with child abuse – even if he had been convicted (which he wasn’t). TKA teaches its students to use blogroll link exchanges … so seeing this gives me a bit more confidence in following their methods. Yes, building lots of niche sites to supplement an authority site is a good thing. Depending on one single source of traffic or one single source of monetization is very dangerous. When I started IM, I depended on Google Adwords for traffic and was an affiliate for both Clickbank and Amazon. But there were too many rules changes for Adwords, several of my best CB vendors either stopped converting or were kicked out of CB, and Amazon no longer pays for sales made from Adwords traffic. Good thing I had already started building niche sites by then. Unfortunately, for unknown reasons, 9 of the 10 sites I built stopped getting traffic from Google (fortunately, two or three still got traffic from Bing, Yahoo and EzineArticles). So when I saw the recommendation to join TKA from Grizzly’s site and this site, I did so. One day when I can make enough regular income from IM, I’ll branch out into the real world. Liz, maybe you can start a site on how to make a passive income with properties. I remember that part of your portfolio of passive income projects includes buying and renting out houses or something? I’ve read the Rich Dad Poor Dad series of books, but it only touches the tip of the iceberg. It would be great to read about someone’s real life experience in this field, and not just the views of a property agent out to get more clients or some author out to sell more books. Hi Calvin – yes I will dig thru my email and get back to you! Property investment is fairly easy – if you have the capital to start with – if you don’t you are leveraged which can be very good or very bad! 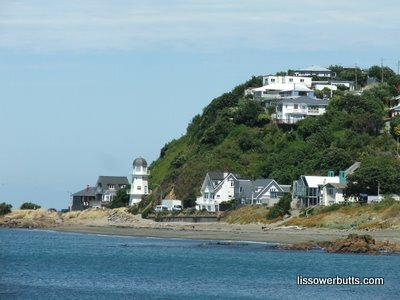 I should probably write about passive income from New Zealand property – the local tax laws are qujite interesting and explain why owning a few houses is a very popular pastime around here. I like your pictures !!! You have a good eye. And here’s what I’m finding about doing the picture a day thing … I’m having a much easier time coming up with stuff to Write about on my blog. I don’t want it to be “just a picture blog”. But I figured if I’m gonna go to the trouble to take a shot every day, I might as well share it. I think you should continue to use your pictures … mainly because New Zealand is pretty … and I can’t imagine anybody who wouldn’t enjoy the scenery. Heck, you might even find that it brings a whole different crowd of people here, via search, who you weren’t reaching before. This is a little off point, but regarding Slater’s disclosures on the Oil Whale Blog I agree that all should be equal before the law. Celebrities, politicians, affluent and high profile individuals seem to have their identities suppressed more often than ordinary individuals. Every person accused of crimes, particularly involving sexual abuse face grave consequences in terms of stigma. If they are acquitted their lives can be ruined. I am not sure I necessarily buy the fact that the orders are always made to protect the identity of the victim, although I understand the rationale. This should be the victim’s choice. That’s a really interesting story, Lis. Your blog is so inspiring and the photos are beautiful. I’m starting to do more than just dream about packing in the day job! Thanks Casparina – dreaming is nice – but doing is more likely to get you those dreams for real! Just noticed you in the comments section at bloggerillustrated dot net. 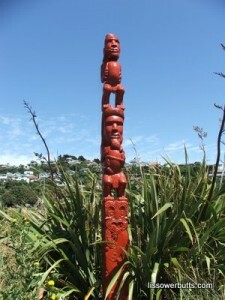 I’m so happy to come across another Kiwi blogger. I’m in Tianjin, China at the moment, but will move back to NZ in July after being away for 8 years. I’m planning to settle in Dunedin. Hello Kiwi – welcome – I beileve even Dunedin has been having warmer temps than Wellington recently! Ohh a coming back in July -that’s way brave! I think I am essentially an expat at haeart – not at all happy to be home at the moment! Confidentiality. You agree not to disclose Google Confidential Information without Google’s … (b) click-through rates or other statistics relating to Property performance in the Program provided to You by Google; …However, You may accurately disclose the amount of Google’s gross payments to You pursuant to the Program. Listen to Allyn’s laest blogpost about his DIY site – he talks about exactly this! Seems great minds think alike. Difference being that Allyn knows very well how to write for search engines AND humans, hubby only knows how to write for humans 😉 But perhaps the search engines become more and more “human” in their approach? We will see, but in one point we can all agree, long posts with good info are the way to go! How do you do? I think it might be my first time here, but I really like what I see. I’m gonna have to dig through your archives and grab all the info I can from them. I live in the US so I have no clue but NZ… but $14k/month? Wth, man! This is just shows that doesn’t matter where you live (NZ or US) you can make the same money anywhere. To an extent – some companies won’t have me as an affiliate and ikts even tougher for Asian-residents! But on the other hand where you live has everything to do with your costs! You have an interesting blog. I am an aspiring Internet Entrepreneur at 65. I was doing quite well with a 15% per month growth rate on 200 sites until Google pulled my traffic and everything crashed. I am now just learning to give google what they want and the earnings are creeping back up. Unique content, basic site SEO, and back links are all it takes and lots of work. I build highly targeted niche sites that rank on Google SERPs page 1. A lot of work but progress is being made. This is very interesting. It just goes to show that with a decent website it is possible to make lots of money. In the UK there is a website called opening times and it basically list opening times for most big UK shops etc. So search ‘Argos London opening times’ (the largest UK retailer) and he comes top of the search engine rankings. What shocks me is how little monetisation the website author has (only a small Google box on some pages). It also shows the strength of getting keywords in the web address. One of my earliest successes on hubpages was a list of all the public holidays in Australia -they vary by state – it ranked well and got lots of clicks – go figure! The photos look great! I love the look of Island Bay. Looks very clean and fresh, like a movie scene. I’d love to visit NZ but I am put off a little by the long trip from the UK. But hopefully one day I’ll get over that, or they’ll invent a super duper quick plane or something. 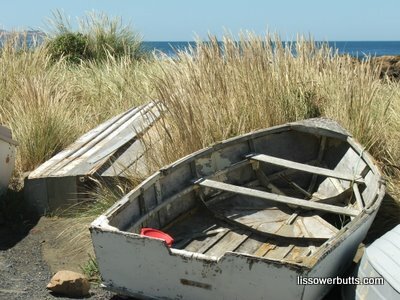 Hey Liz – I have been reading your blog and commenting for somet ime now – I only just realised you’re from New Zealand though…I grew up just out of Wellington in Masterton. I heard the same story about the builder with the DIY site – cool story. Living in NZ has a lot of benefits when it comes to making money online – most of all perhaps is the exchange rate (ear in USD – live with NZD)! Thanks for another great post! I spent most of last year living in Argentina and that was a GREAT place to live while earning in US dollars. In Argentina US$1 is currently about $4 pesos. You can rent a small apartment for US$400 a month which makes for a very favourable economic situation. I’ve heard it’s similar to this in south east Asia as well. I love the Art Deco Cinema, your pictures are pretty good. 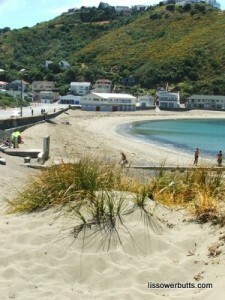 Wellington looks like quite a lovely place to live, would love to see more of your photos when you have chance. It can definitely be done, but as posters above have mentioned the rules are constantly changing. Having multiple streams of income(web based) is great, but you can make it happen with even just one site! The key is to always be tweaking conversion and have LOTS OF different sources of traffic. Absolutely love the pictures never mind your photography skills you definitely captured the feeling quite inspiring. Like Casparina I’m also desperately looking to pack in the day job but this IM stuff isn’t all that cracked up to be either it does take a lot of work but I suppose in the end it’s worth. One thing I’ve noticed though, it does seem like the guys who end up making it big time on the Internet like the gentlemen you mentioned start out without even intending to make money. No wonder why he can’t clearly explain how he does it.